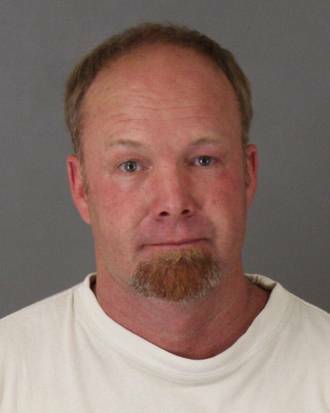 A 48-year-old Wildomar man is behind bars, accused of trying to hire someone to kill his wife of nearly 25 years. Eric Scott Nelson was arrested July 22 and is being held with no bail amount set. He has pleaded not guilty to solicitation for murder, unlawful possession of a gun and violating a protective order. The strange tale, recounted in court documents, includes everything from a recording device tucked in an undergarment to a fictional Tijuana hit man. Whether the alleged murder plot was for real, or perhaps a criminal fantasy that went too far, will be up to a jury to decide. Nelson’s attorney, Greg Henderson, declined to comment. Prosecutor Tim Cross said Nelson’s plot was no joke. “He was deathly serious about this all along,” he said. The Riverside County Sheriff’s Department began investigating the case July 15 after Nelson’s wife learned from her husband’s tenant that Nelson was looking to hire a “hit man” to kill her, search warrant documents say. She called the police. The wife told investigators that she and her husband had been having marital problems for some time and that she had informed him several months ago that she was going to divorce him. Instead, in June, Nelson served her with divorce papers, she said. The tenant told investigators that she began renting Nelson’s guest house in April. She said Nelson was in the room one day when she was hanging out with a friend and complaining about the father of her child. The tenant said her friend mentioned that he knew someone in Tijuana who could “take care of” the father if she ever wanted to be rid of him, search warrant records say. The tenant said she didn’t take the remark seriously but, a couple of days later, Nelson asked for the hit man’s phone number. At first, she said, she thought Nelson was kidding, but he kept bringing it up over the next few days. The tenant said she started mentioning specifics of a hit contract, such as the price, and Nelson became more interested, according to court records. Nelson sent her coded text messages, she said, about arranging a meeting with the “hit man” and possibly having a “two for one deal” — with the hit man killing both his wife and the father of her child, Investigator Robert Cornett wrote in search warrant documents. Fearing for the safety of Nelson’s wife, the tenant told her about Nelson’s alleged plot to have her killed, search warrant papers say. The tenant took it upon herself to conceal a recording device in her bra while talking with Nelson about the alleged murder plot, court records say. On the recording, Nelson asks if the hit man is “clean and professional” and if he would cause any problems, court records say. He says on the recording that it’s what he has to do because of the way the divorce is going and proceeds to discuss his alibi for the day of the killing, court records say. At one point, Nelson confirms that the price will be $1,000, court records say. Sheriff’s investigators arranged for an undercover officer to pose as the hit man. On July 19, Nelson called the investigator at a number the tenant had given him, court records say. He confirmed to the undercover investigator that he had a job for him to do and they arranged to meet the next day at the Walmart in Murrieta, court records say. Nelson was to bring a picture of his wife, her address and a $300 down payment. But the next morning the tenant called the investigator, saying Nelson was calling off the meeting. Investigators didn’t know if he had changed his mind about the killing – or if he’d made some other arrangement. They didn’t wait to find out. Deputies pulled him over in his SUV near Palomar Street and Central Avenue in Wildomar and arrested him. Nelson had a loaded pistol – which was not registered to him – in a briefcase, court records say. Cross said investigators later learned that Nelson had discussed the plot with another woman. The woman, with whom Nelson was having an affair, told authorities she threatened to leave him if he didn’t call off the hit. Nelson later told her, “You just saved someone’s life today,” Cross said. Last month, a judge held Nelson to answer on all charges after a preliminary hearing. The protective order violation stems from Nelson’s efforts to call and write to his wife from jail, Cross said. If convicted on all charges, Nelson faces the possibility of more than 10 years in jail, he said.